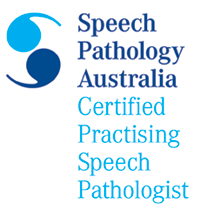 Speech Teach is a private speech-language pathology practice located in Brisbane, Queensland. It is dedicated to providing high quality services to children and teenagers with speech, language and literacy difficulties. Speech Teach is owned operated by Julie Lewis who has ten years experience as a speech-language pathologist. Julie has worked as a speech-language pathologist for several organisations including Education Queensland Queensland Health and Healthscope. Julie is also a qualified and registered teacher. She has worked as a classroom and special education teacher in Queensland state and private schools for several years. Julie is currently studying for her PhD at The University of Queensland. She also works as a tutor and has been a guest lecturer at The University of Queensland. Julie enjoys working with children and adolescents of all ages who have speech and language difficulties and has a special interest in literacy and social behavioural and emotional problems associated with speech and language disorders. She is a certified practising member of Speech Pathology Australia, is a Hanen trained speech pathologist and is regularly involved in ongoing professional development to ensure she provides the best quality services to her clients. When not thoroughly enjoying herself whilst providing children and adolescents, their parents and teachers with speech pathology services she works on completing her PhD at The University of Queensland and takes time out to watch movies, read books, spend time with family and friends and indulge her passion for Siamese cats!